When: September 29 – November 4th. 10am – 7pm open everyday except Mondays Mondays. What to Do: Barrel train rides, feed the animals, hay maze, kids playground and Half Pint Homestead, Blaster Cannon, Cowboy Tex, games, music, photos ops and more. When: September 29 – November 11, as long as pumpkins last. Open Saturdays 10 am to 5 pm, Sundays from 10 am to 5 pm, gates close at 4 pm each day. Open weekdays by reservation only. What to Do: Bounce Houses, Tractor and Train Playground, a Pony ride (weekends only), Petting Zoo, Barrel Train Ride, Hayride, Wooden Maze, Duck Races (Ducks are $1), The Story Teller and Game Areas. Each paying child gets to pick a pie side pumpkin out of the pumpkin patch and decorate with markers. No pets allowed. When: Weekends September 29 – November 11. October Fridays: 6pm – 10pm, Saturdays: 10am – 10pm, Sundays: 11am – 7pm. How Much: Check website for pricing including pre-season tickets. What to Do: Pumpkin patch, corn maze, Amaze-Ment Park, Saturday night fireworks, farm zoo, concerts by the pond, photo ops and more. How Much: Check website for current pricing. What to Do: Hay Play & Jump, Yee Haa Express Farm Train, The Dig, Little Farmer Acres: Duck Racing, Farmer Fones, Double-wide Slide, Kiddie Trike Track, Flying Cub junior zip line; Triple Decker Tree Fort, Spider Climb, Standing Teeter Totters, Swinging Trees, Pedal Carts, Circle of Swings, Wooden Maze, Up & Over Hedge Maze, In & Out Maze, Farmula 1 Trike Track, Color Maze, Jumping Pillow, Super Chute Slide, Balancing Labyrinth, Latvian Swing, Chalk Car, Horse Shoes, Sand Volleyball, Goat Scape Mountain, farm animals, Sheep Racing (seasonal). Check website for additional optional activities. When: September 22 – November 21. Times vary. How Much: General garden admission is free to members. Visit website for non-member and special event rates. What to Do: Highlighting The Adventures in Neverland as the theme in 2018, the Arboretum’s fall festival features 4,500 of fall’s favorite flower-Chrysanthemums, along with 150,000 fall blooming plants, and their internationally acclaimed Pumpkin Village, featuring more than 90,000 pumpkins, squash and gourds, plus the Children’s Adventure Garden. The popular Haybale Maze and the Tom Thumb Pumpkin Patch offer pumpkins for purchase. Visit the website to check out the many activities available during the fall festival. Be sure to bring your camera as there will be many photo ops. When: Opens October 6 for the fall season. Saturday 10am – 5pm, Sunday 1pm – 5pm. What to Do: Pumpkin Patch activities include Hayrides, The Maze, a farm zoo, hay jump, sack races, Ga Ga Ball, bounce pad and dress your own scarecrow stations (great photo opportunity). Farm specialties include picnic areas, tours, snacks, drinks, gifts, arts and crafts, restrooms, country atmosphere, and free coffee on request. Check website for additional activities. When: October 1st through October 31st from 9am to 7pm. How Much: $5.00 parking Monday – Friday; $10.00 for Saturday and Sunday. Buses are $1.00 per person, however, all activities are free. Local vendors provide food for purchase. 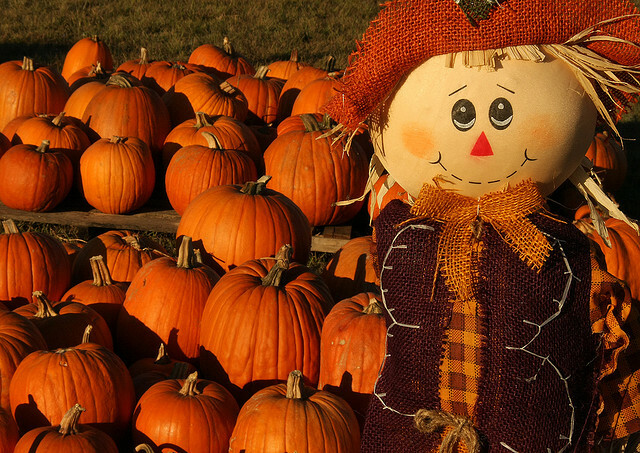 What to Do: Join the fun each fall at the Flower Mound Pumpkin Patch on the Double Oak Ranch. You will find hundreds of pumpkins to choose from, cornstalks, hay bales, baked goods, and refreshments. Picnic tables are provided for individual use; however use of tables by any large groups or parties must be reserved and confirmed. Each season we feature Cartoon Character cutouts and bounce houses for the kids. When: September 29 – October 31. Monday – Friday from 1:00 – 7:00 (or sunset) and Saturday and Sunday from 9:00am – 7:00pm (or sunset). Patch opens at 10:00 am on Friday, 10/5 and Monday, 10/8. Activities begin at 12 noon on Sundays. What to Do: Pumpkins on the Prairie celebrates its 15th year of fun and festivities.Pick your favorite pumpkins. Kids can enjoy bounce house, hay maze and “Kid’s Patch!” Lot of photo ops with the fall set-ups and family-fun hayrides. When: Sept 22 through November 11. Mondays – Fridays, 9:30am – 2pm; 6pm – 10pm on Fridays. Saturdays, 9:30pm – 5pm and 7pm – 10:30pm. Sundays, 11am – 5pm. How Much: General Admission $6.00. Children under 12 months free. Pumpkin prices range from $1 – $40. What to Do: Included with general admission: train ride, giant maze, petting zoo, animal room, gaga ball bit, gift shop. When: Opens September 28. Monday – Thursday, 3:00pm – 8:00pm; Friday, 3:00pm – 10:00pm; Saturday, 10:00am – 10:00pm; Sunday, 1:00pm – 8:00pm. How Much: Free admission and free parking for the pumpkin farm. Corn Maze admission is $5. Hayrides are $5 for day rides and $3 after dark. Available from 5:00pm – Close on Wednesday, Friday, Saturday and Sunday. Farm accepts cash only. No professional photography sessions, pets or outside fool allowed. What to Do: Pumpkins of all shapes and sizes, gourds, hay bales and corn maze and Hayrides too. When: September 15 through November 21, 8am – 8pm, Monday – Sunday. How Much: Weekdays (Monday through Friday) – $8 per person. Weekends (Saturday and Sunday) – $10 per person – Farm Train included! Children under 2 are free. See website for specific items included with each type of admission. What to Do: Hay rides, hay maze, petting farm, feed animals, general store, hardware store, gift shop and cafe. When: Opens September 28. Fridays, 12 noon – 8pm, Saturdays, 11am- 8pm, Sundays, Noon- 6pm. How Much: Fridays, $10. Saturdays and Sundays $12; age 2 and under are free. What to Do: Admission includes family corn maze, kiddie corn maze, giant slide, pumpkin bowling, fossil dig, pumpkin Tic-Tac-Toe, hay ride, football throw, feed catfish and photo ops. Pumpkins priced separately. When: Open September 29 – November 10. September/October: Fridays, 4pm – 9pm, Saturdays, 10:30am – 9:30pm, Sunday, 1:30pm – 7:30pm. November: Saturdays, 10:30AM – 6PM; Closed Fridays & Sundays. How Much: $12 / person; children ages 2 and under are free w/paid adult. See website for exclusions and other pricing options. What to Do: Pumpkin patch, cow train rides, corn mazes, hay bale maze and pyramid, giant hay bale slides, corn cannon, corn and sand pits, roping dummies, stick horses, hay rides, farm animals, games, play area, picnic area, concessions, photo ops and more.